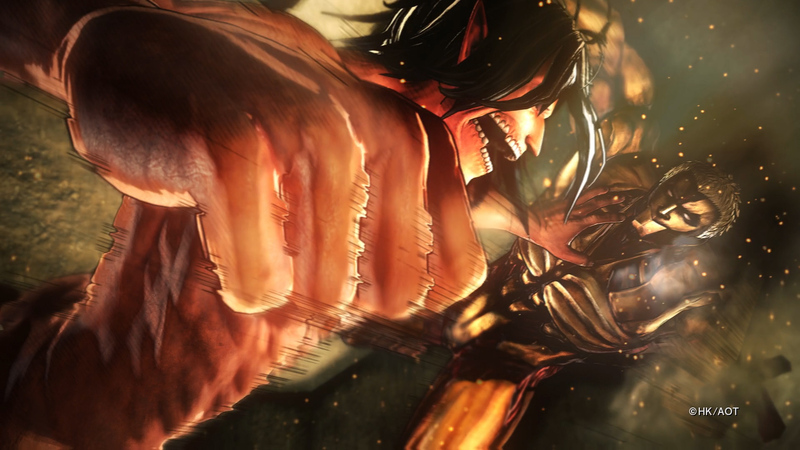 Attack on Titan: Wings of Freedom was one of my favourite games of last year and certainly the biggest surprise. It did a wonderful job of capturing the movement and combat of the anime, which is about jetpack-propelled soldiers with swords and grapples hacking off the limbs of naked giants. 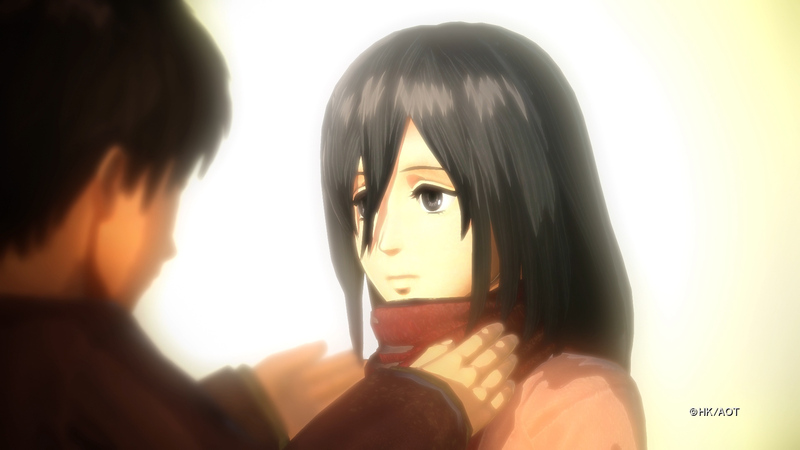 Now Koei Tecmo have announced that a sequel is on the way. 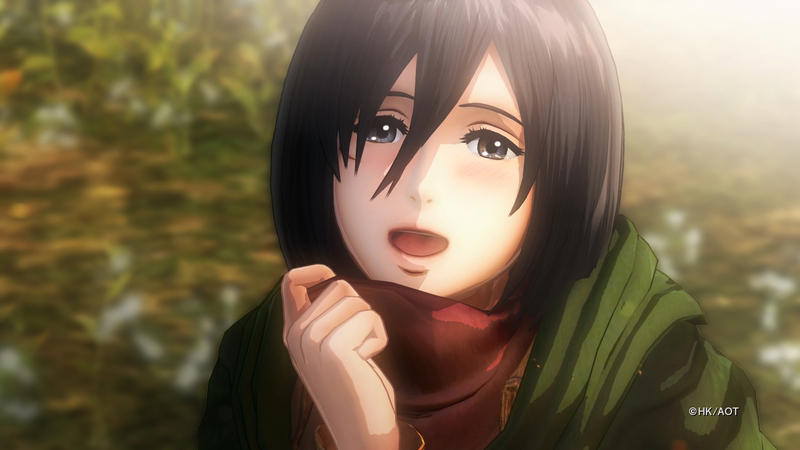 Attack On Titan 2 [official site] is coming early next year, and the trailer below suggests it’ll hew closely to the plot of the anime’s second season.Here’s the trailer, which contains no actual game but features lots of scenes from the anime and manga rendered in-game. Koei say that “more information about the game’s release, platforms, and narrative will be unveiled in the coming weeks,” which means it’s technically not confirmed for PC. But of course it’ll come to PC. Wings of Freedom was a classic 7/10 kind of game, marvellous for its ideas and narrow execution of them but limited in scope and slightly ugly in places. It feels a lot like the Dynasty Warriors games from the same developer, in that it looks both cheap (wow those muddy textures) and impressive at the same time (holy heck look at the size of that enemy/army). There’s simply no other game where you can attach a grappling hook to a giant’s torso and then jetpack around them while slicing off their arms, though, so I think about it more than many games with ten times its budget and polish. 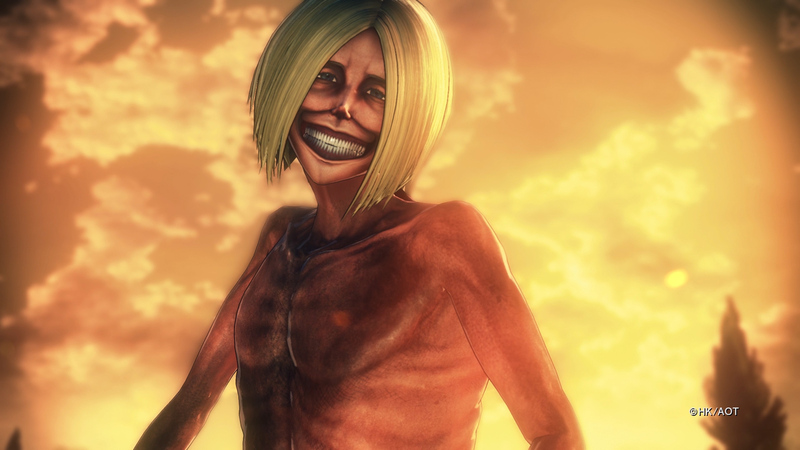 I just finished watching Attack On Titan’s second season a couple of weeks ago, too. 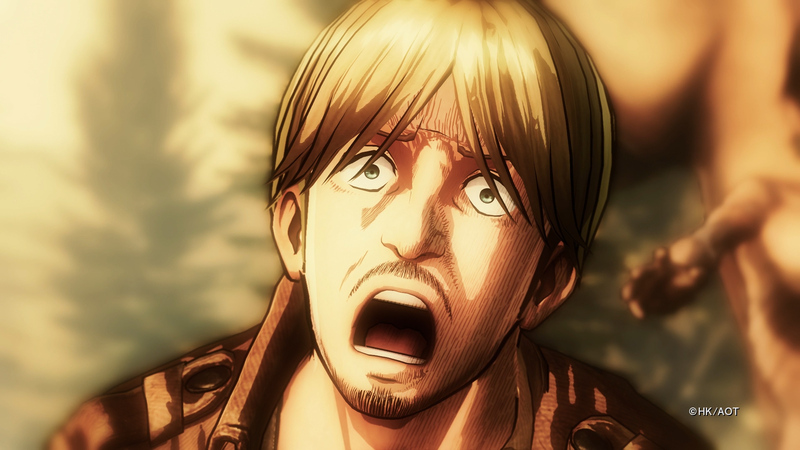 I didn’t enjoy it much; it’s set far beyond the walls of the city and the novelty of the series’ unusual society and technology has worn off, leaving only screaming anime stock characters and endless combat. That doesn’t make me any less excited for the game, where the combat is fun to control and the cutscenes are skippable. 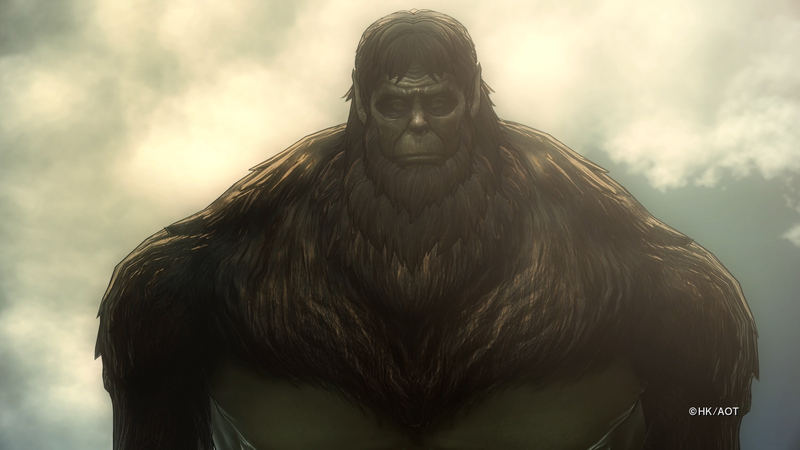 Although if the appearance of that big hairy Titan does mean it’s set out in open fields as per the second season, I’ll be a little sad that there are fewer opportunities to drop Titans atop destructible buildings. Oh, and here’s hoping the sequel isn’t crazily overpriced at £50 like the original. Here are some more screenshots you can click to embiggen. 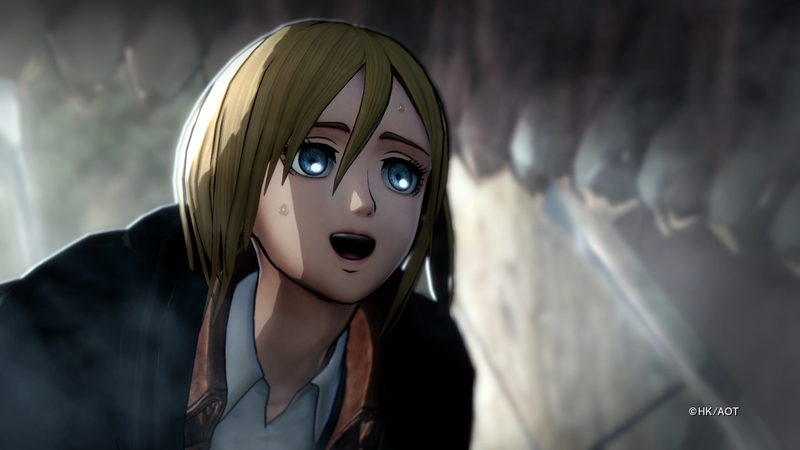 Tagged with Gamescom 2017, Koei Tecmo, Omega Force, Attack on Titan, Attack On Titan 2, Attack On Titan: Wings Of Freedom.